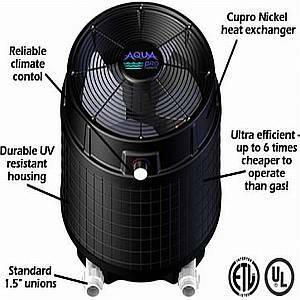 Aqua Pro Systems, a leader in the manufacturing of above-ground heat pumps, builds these units with quality first. The Pro 600 features a cupro nickel heat exchanger that is corrosion-free and impervious to pool chemicals. Solid-state controls allow you to set your desired temperature, and then the heat pump automatically calls for heat when the pool�s temperature drops below that setting. 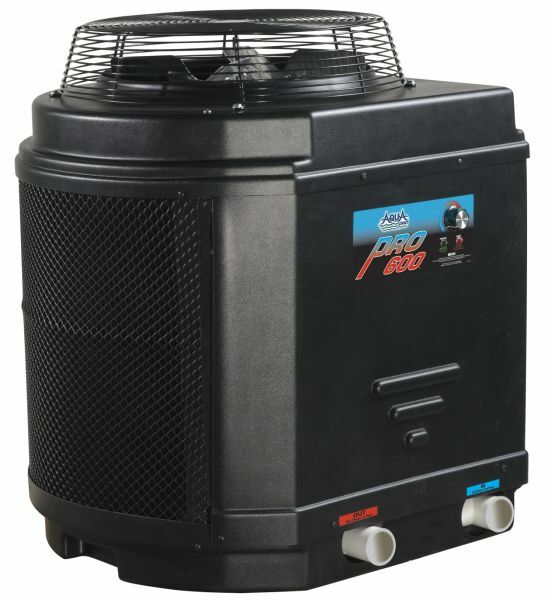 A super silent piston compressor makes this heat pump quiet as well as ultra-efficient. The exterior cabinet is made of tough, durable resin that is weatherproof and will not rust or corrode in any location. Durable Cupronickel Heat Exchanger for Proven Performance. Small Footprint is Ideal for Tight Spaces or Retrofits. Ideal for Pools Up to 18,000 Gallons. Single Mechanical Temperature Controller Allows for Easy Temperature Setting. Virtually Silent Performance with Highly Engineered Design. Reliable PVC Slip Fittings For Ease of Installation.